The 2002 Class B All-State team announced! Congratulations to Kelsey Jenks, Juan Mendoza and Jake Frisch for being placed on the 1st team and to Zach Tarnowski and Matt Juriga for being named to the 3rd team. Oh, yeah, I almost forgot. Kelsey was named Class B Player Of The Year! Way to go Kelsdog!! 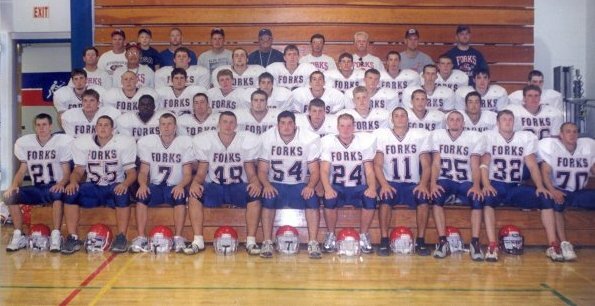 You can view the entire All-State team and the teams for the other classes at the 2002 New York State High School Football All-State Teams page. The 2002 Binghamton Press All-Metro team announced! Congratulations to Coach Of The Year Kelsey Green, Player Of The Year Kelsey Jenks and Jake Frisch, Juan Mendoza, Matt Juriga and Zach Tarnowski for being named to the Binghamton Press & Sun-Bulletin's 2002 All-Metro Football Team. Articles - You can read all the post-game articles and stats from previous games by clicking on the associated for each game.